‘Health is wealth’, and we take care of the wealth of those who provide everyone with their health. With the growing market sentiment towards health and is maintained, the market for gymnasiums has been growing by leaps and bounds. The numbers of members are increasing and so are the complexities involved in each of these establishments, irrespective of their charges or target customers. Do you own one of these gyms? Are you planning to develop one or acquiring one? The gymnasium business like other service-providing organizations, develop and succeed on the basis of ‘Customer satisfaction’. We help you provide your customers with the amply required safety and care assurance, in the backdrop of an unsafe society. We Star Link India, the leading biometric gym management system provider in the country. ACCESS CONTROLS SHOULD BE TRUSTWORTHY: With elite clientele and their safety in your hand, you cannot afford to rely on loose controls for the long-run. The gym management systems should thus, be either biometrics based, i.e. fingerprint reading, or RFID based, i.e. smart cards. These access controls are proxy- free and corruption-free systems. KEEPS TRACK OF VARIOUS MEMBERS ENTERING AND EXITING YOUR PREMISES: You yourself cannot be everywhere at all times. But, your gym management system can be. It should be able to track the various members entering, and working out at a time. Biometric attendance can help you know about and control access of your facility by friends and family of other employees too. CARDS WITH ACCESS FOR TRAINERS, CLEANERS AND ADMINS: Special cards or entries should be enabled for the trainers, cleaners and other staff members including you for multiple entries and exits. These accesses should also be ‘monitoring enabled’ in nature to avoid leakages in your establishment. A biometric attendance reader can help you do that. CUSTOMIZED MEMBERSHIPS AND PACKAGES SHOULD BE ACCEPTED FOR DIFFERENT MEMBERS: To run a gym successfully, you would be required to provide many customizations to your clients, and your gym management system should be able to cater to them as well. SYSTEMIZE THINGS FOR CONTROL IN YOUR ABSENCE: A good gym provides its services seven days a week, 15-16 hours a day. But, you as an owner cannot be there for all this time. Thus, your gym management system should be able to provide you with clear reports anytime, anywhere of people entering and exiting your establishment. PROVIDE INSTANT REPORTS: Being in the retail of services, you require a system that could give you instant reports on access, packages, usage, prepaid-postpaid options, money paid, money due, diligently and smartly. 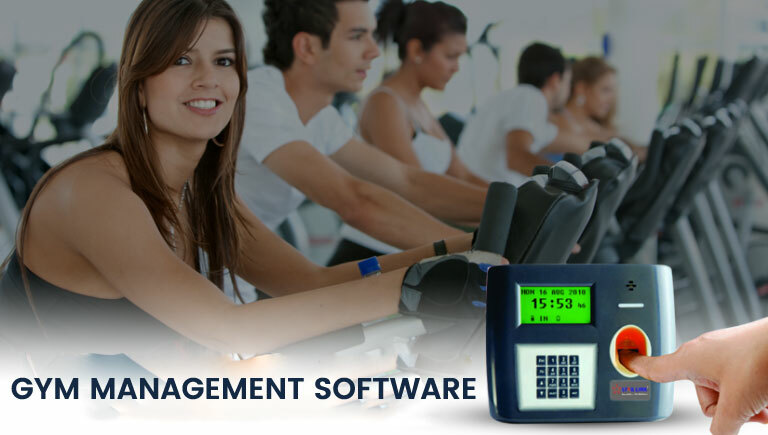 Our gym management system caters to all the above requirements and more. It is a complete club management system.